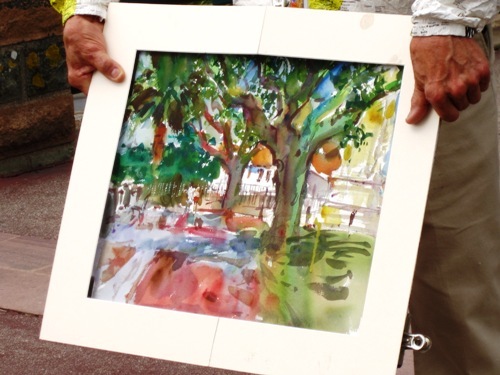 This Plein Air Workshop was an amazing experience. Our home base was Frejus, France located between Cannes and Saint Tropes. From the beautiful Hotel L’Arena we called home for two weeks to the excursion to neighboring towns like Cassis, Eze and Saint Raphael along the Mediterranean and St. Paul de Vence and Gorge Du Verdon inland, the experience was full of wonderful subjects to paint and memories to share. 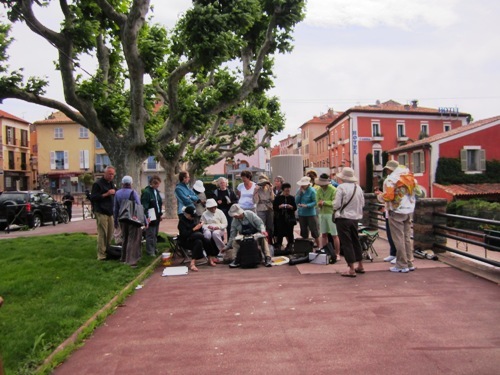 When we were not plein air painting, we were experiencing the local cuisine and open air markets. Enjoy our photo gallery that shows some of the highlights of this delightful experience. For more information contact us at ericworkshops@centurytel.net or watercolors@ericwiegardt.com. In subject line add “Portugal Workshop 2015”.